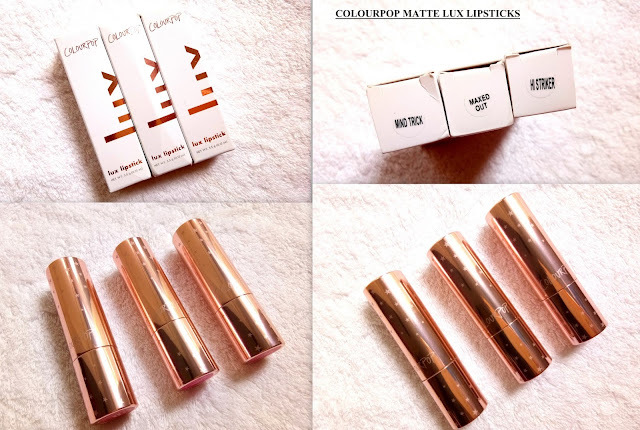 Finally, I am up with 8 COLOURPOP LUX LIPSTICK SWATCHES of both creme and matte finish. I was collecting all of them from a pretty long time and finally, I am done collecting them. MONEY SIDE UP:- A bubblegum pink shade. STILL CRAZY:- A mauvey pink shade. 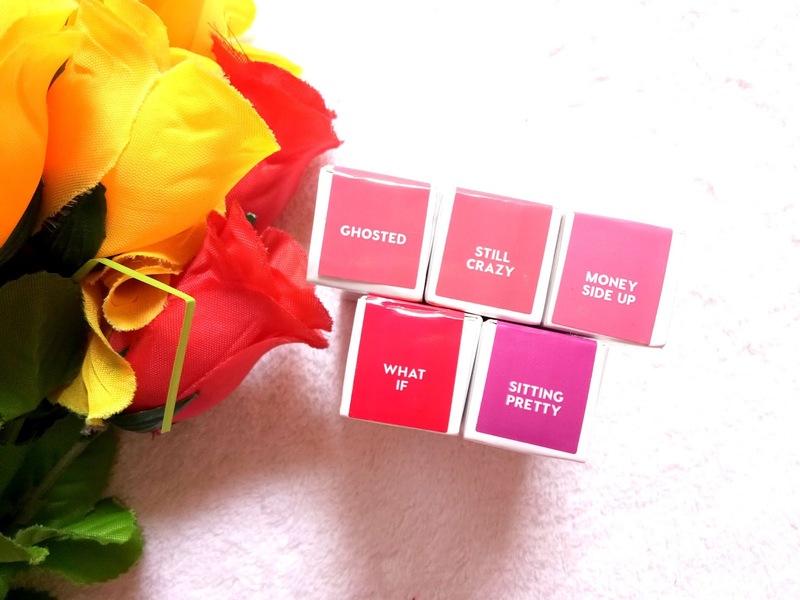 GHOSTED:- A medium rose shade. WHAT IF:- A cool-toned fuchsia shade. SITTING PRETTY:- A muted fuchsia shade. MIND TRICK:- A brick red shade. MAXED OUT:- A vibrant fuchsia shade. HI STRIKER: - A blue-red shade. This full coverage matte lipstick is packed full of the finest pigments to give you long-wearing, true color in all the shades. The velvety matte finish is comfortable and non-drying, while soft blurring pigments lessen the look of fine lines. Enriched with Pomegranate, Goji Fruit, and Green Seed extracts to protect your lips from environmental stressors and premature aging. Cetyl Ethylhexanoate, Aluminum Starch Octenylsuccinate, Polyethylene, Hydrated Silica, Copernicia Cerifera (Carnauba) Wax, Lauroyl Lysine, Silica, Caprylic/Capric Triglyceride, Vitis Vinifera Seed Extract, Lycium Barbarum Fruit Extract, Punica Granatum Fruit Extract, Iron Oxides (CI 77491, CI 77492), Red 7 Lake (CI 15850), Red 27 Lake (CI 45410), Titanium Dioxide (CI 77891). Both the matte and creme lux lipsticks have the same kind of packaging. The outer carton box is white in color whereas the lipstick case is gold packaging with tiny stars on it. 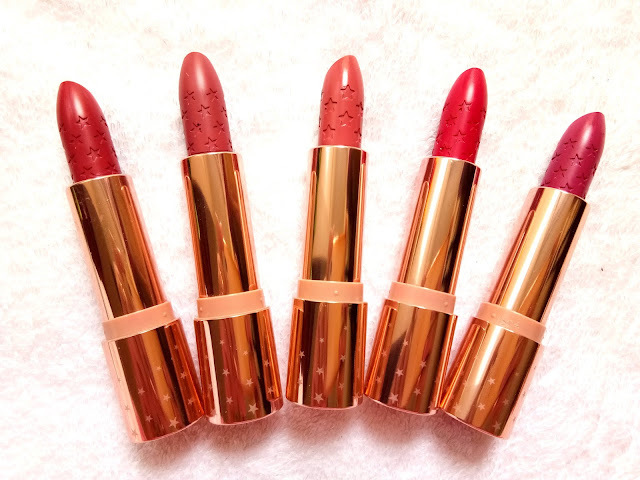 The packaging of lipsticks really luxe and classy. The bullet of the lipsticks has some tiny stars shape impression which makes the lipstick bullet look cute. Overall I love the packaging and they are just perfect to flaunt in front of others. The texture of both lipsticks is little waxy for which they glide super smoothly on my dry lips too. The creme lux lipsticks are a little creamier than the matte one. But both the lipsticks are super pigmented. One swipe and you will get the exact shade on your lips. The creme lipsticks stay 4-5 hours on my lips while the matte ones stay little longer. I personally love the matte lipsticks more as if I dab the matte lipstick with a tissue paper after application it transforms into velvety matte that stays throughout the day(if you are not having oily food). Both the lipsticks are not transfer-proof and so they do transfer a little bit. 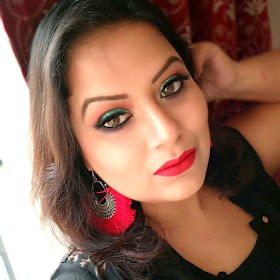 The creme lipsticks transfer more than the matte one but as they stain my lips badly so I can carry this lipstick stain for hours even after fading. In short creme, lux lipsticks are perfect for people who don't like matte lipsticks or have dry lips problem. Whereas the matte lipsticks are perfect for a matte lover. I personally love the matte one more over the creme one. So that's all for today. Stay in touch. See you in my next post.